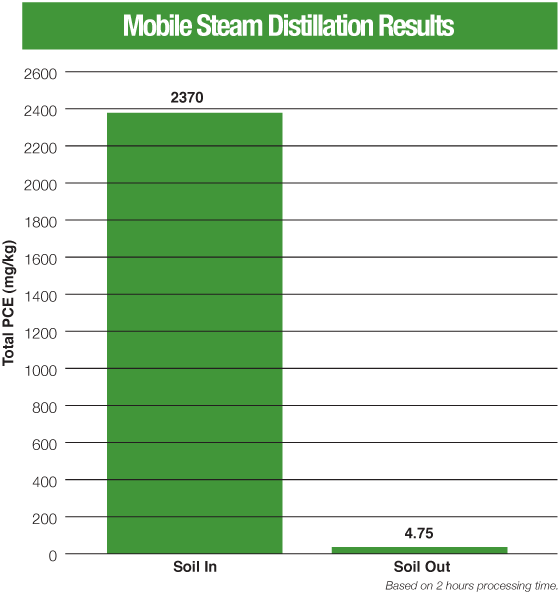 Tests confirm Mobile Steam Distillation is a viable means of reducing hazardous compounds. In a test by an independent engineering firm of soil contaminated with perchlorethylene (PCE), measurements of the soil prior to treatment versus post treatment showed dramatic decreases in contaminant levels. High levels of PCE were evident in the condensed steam collected and decanted from the unit during the test. 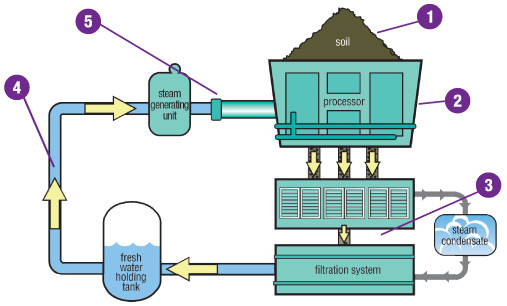 Treatment times vary according to soil type and conditions, as well as contaminate type and quantity, typically one to two hours per 16-yard processor.